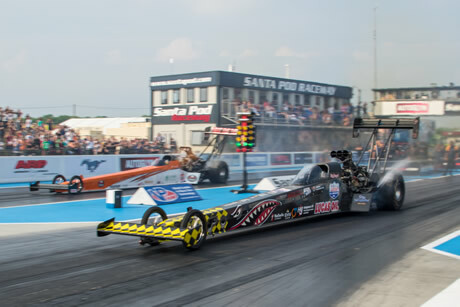 The heart of Santa Pod Raceway is the drag strip and the sport of Drag Racing, the pages in this section will give you an insight into the history of drag racing at Santa Pod Raceway as well as the classes and basics of the sport. Read about where it all began on the History page. 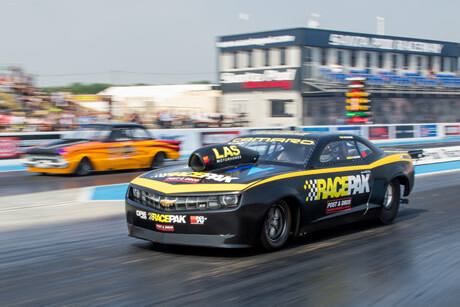 Read a brief explanation of the basics of Drag racing on The Basics page. An explanation of the different classes in Drag Racing is on The Classes page. 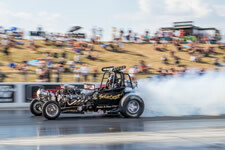 For information on how to start Drag Racing visit the Santa Pod Racers Club Website. Junior Dragsters are available for hire with full tuition at a Run What Ya Brung Public Track day for any budding young driver aged 8 – 16 years old. Details on Junior Dragster page. Alcohol - Methanol when used as a fuel in an engine. Altered - A car based on a known body type but changed of radically customized. Blower / Supercharger - A crank driven air-to-fuel mixture compressor. It increases atmospheric pressure in the engine giving extra horsepower. Bang the Blower - Explode the supercharger. Bracket - The upper and lower ET index limits on a class. Breakout - Running faster than the index in handicap racing. Burnout - Spinning the driving wheels in water prior to the run, it heats and cleans them giving better traction. Burst Plate / Panel - Pressure relief plate in supercharger and or bodywork. Bye run - A single when no competitor is available. Christmas Tree or Tree - The starting lights controlled by the timing computer. c.i. (Cubic Inch) or cc (Cubic Centimetre) - A measure of engine capacity. Deep Stage - A driver is deep staged when, after staging he/she rolls forward a few inches further, causing the pre-stage light to go out. The vehicle is nearer the finish line but is dangerously close to a red light. In some classes the act is illegal. Dial-in - In handicap racing, the time the racer considers is the most consistent he can achieve. Dialed-in - A vehicle is said to be dialed-in when driver/rider and crew are happy it will run consistently. Doorslammer - A full-bodied racecar with operable doors. Eliminations - Tournament style competition, the losers are eliminated and the winners progress until only one winner remains in each class. ET or e.t. - Means Elapsed Time. The total time taken to travel frm the start line to the finish line. Flopper - A Funny Car. Fuel Coupe - A nitro (Fuel) Funny Car. Foul - An infringement of a rule during a run. This may be pulling a red light, crossing a lane boundary, or running under an index. Headers - Fine tuned exhaust system, routing exhaust from engine. Replaces conventional exhaust manifolds. Heads-up - Non-handicap racing, where both competitors start together. Hemi - An engine, which has hemispherical shaped cylinder-head chambers. Holeshot - An advantage gained by a quicker reaction time on the start line. In Pre-Stage - A racer in in pre-stage when the front wheel has interrupted the first light beam just before the start line. Full-stage is only inches ahead. In Stage - A racer is in stage when the vehicles front wheels have interrupted both light beams at the start line. Index - An elapsed time establishing the limit for a handicap class. Light Up (Tyres) - Generally too much power is used, causing the tyres to spin in smoke instead of gripping the track. Methanol - Pure methyl alcohol produced by synthesis, primarily associated with Top Methanol Dragsters and Top Methanol Funny Cars. NHRA - National Hot Rod Association. Major U.S. Drag Racing governing body. 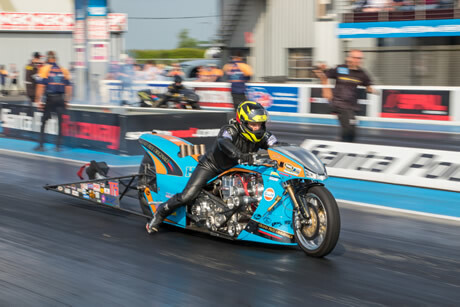 Nitro - Nitromethane the ultimate fuel specially produced for Drag Racing. It is a result of a chemical reaction between nitric acid and propane. Nitrous - Nitrous Oxide. Gives added horsepower when injected with fuel into the engine as it contains accessible oxygen. Qualifying - Before eliminations begin racers must qualify. If a field is too large only the quickest qualifiers will make up the number in the elimination, generally eight or sixteen. Reaction Time or r.t - The time it takes a racer to react to the green starting light. It is measured in thousands of a second. The r.t. counter begins when the last amber flashes and stops when the vehicle clears the stage beams. Slick - Smooth tyres with no tread giving maximum traction of rubber to track. Staging Lane - Designated assembly area for competitors, also known as the pairing lanes where competitors are paired prior to racing. Stock - Standard factory appearance. Street Legal - A car or bike, which could, or does qualify for an MOT and can run legally on the road. Supercharger - See Blower / Supercharger. Terminal Speed - The speed through the finish line. Traction Compound or Trackbite - A kind of liquid rubber that is sprayed onto the track providing added grip or traction when dry. Wheelie Bars - Bars with small wheels protruding from the rear of some vehicles preventing excessive front wheel lift.